★Shimmering flat cable chain, 18 inches. Length can be customized up to 20 inches. 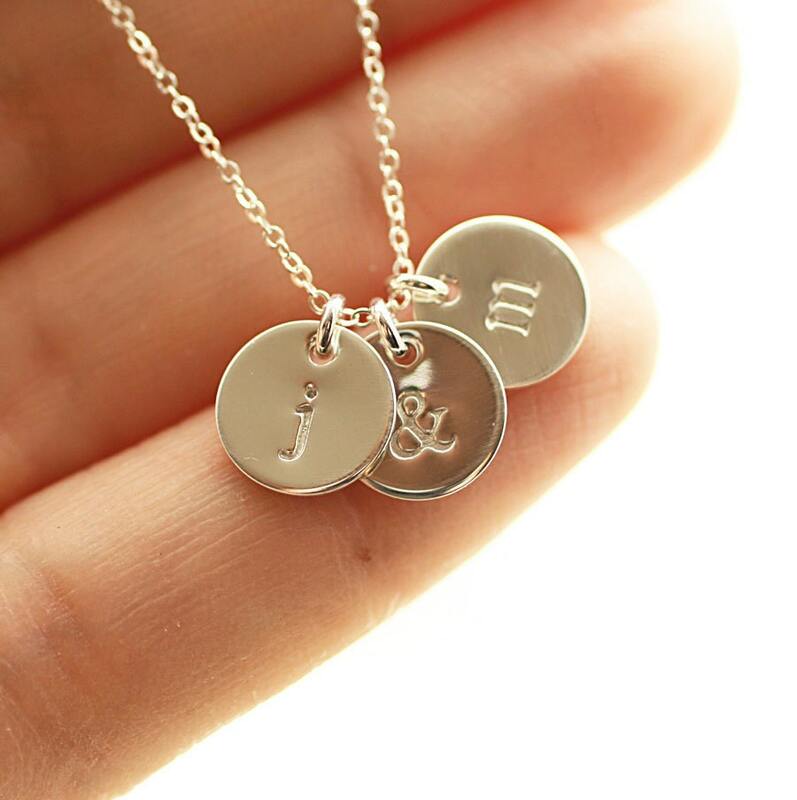 ★9.5mm dainty discs (just about 3/8 inch, 22 gauge), stamped with your initial choices - lowercase type font shown.